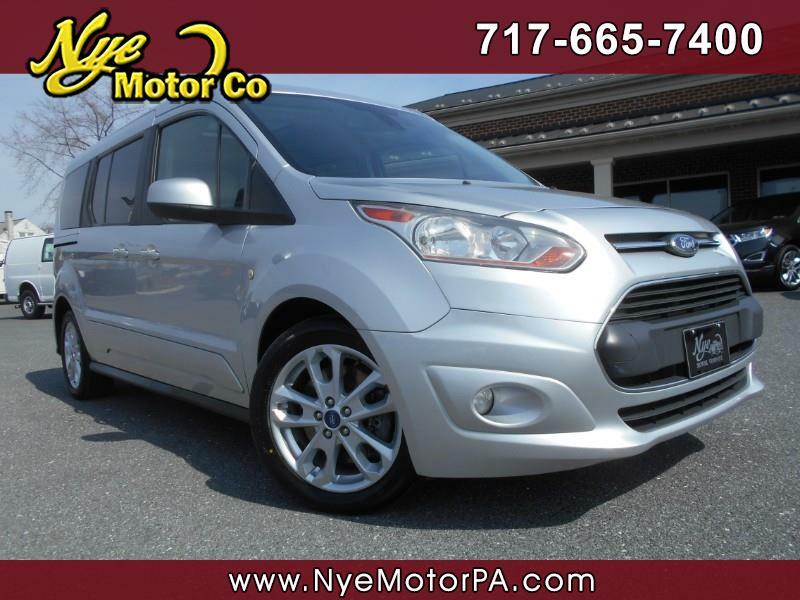 Used 2014 Ford Transit Connect Wagon Titanium w/Rear Liftgate LWB for Sale in Manheim PA 17545 Nye Motor Co.
****1-OWNER****HANDICAP ACCESSIBLE****NAVIGATION****HEATED SEATS****SUNROOF****MUST SEE & DRIVE**** Check out this hard to find 2014 Ford Transit Connect Titanium Handicap Accessible Van with only 82K miles! Loaded up with Navigation, Sunroof, Heated Leather Seats, Sync, USB, Line In, Cd, Dual Climate Control, 12V Port, Steering Wheel Mounted Controls, Automatic Headlights, Back UP Cam, Cruise, Tilt, Alloy Wheels, Luggage Rack, Tow Hitch, Joey Lift by Bruno, and More! Don't let this fantastic Transit Connect get away. Call today to schedule your test drive.